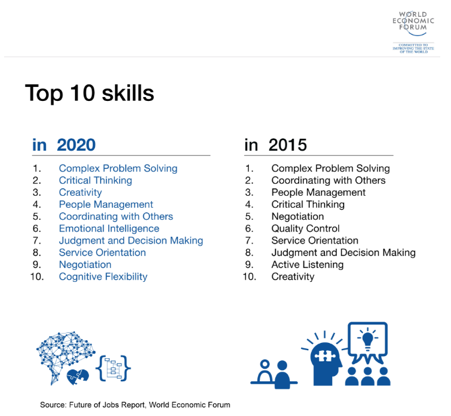 The World Economic Forum’s the Future of Jobs Report moved creativity in 2020 to the #3 list of skills you need to thrive at work (up from the 10th place in 2015). The reason is without creativity you cannot create a culture of innovation. 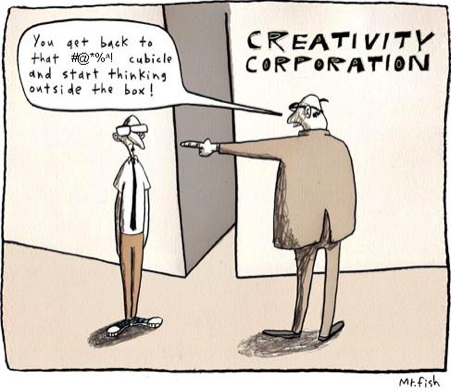 Creativity is the catalyst to innovation. However, it is useful to distinguish between creativity and Creative Problem Solving. The former is an act of creation focused on the generation of new ideas. The latter, Creative Problem Solving, is the science of creativity which is backed by over 50 years of research into our natural creative processes. It goes well beyond the production of novel ideas. It takes into account the affective (emotional) and the cognitive (thinking) skills. It also covers the full gamut of the creative process from dreaming of a better way of doing things through to implementing an innovation. That’s why Creative Problem Solving creates a culture of innovation. Viewed this way, 60 percent of the skills listed on the World Economic Forum’s report are Creative Problem Solving competencies, including Complex Problem Solving, Critical Thinking, Emotional Intelligence, Cognitive Flexibility and Judgement and Decision Making. It is critical to creating a culture of innovation. Another report, IBM’s global survey of 1,200 CEOs in 2010 found that Creative Leadership was the #1 competency CEOs needed to future-proof their business. They are not looking for creatives — people who are responsible for generating ideas. Instead, they are looking for Creative Problem Solving leaders. They guide teams to resolve complex, ambiguous problems by asking better questions and resisting the temptation to rush to judgement. They also cultivate the creative talents of everyone in the organisation, regardless of where they sit in the hierarchy. They are key to creating a culture of innovation. Despite the broad agreement that Creative Problem Solving is a critical skill, most organisations do not invest in training their people in it. If there is any training in this area, it is usually in innovation processes like Design or Lean Thinking or Agile, failing to appreciate that Creative Problem Solving is the catalyst for innovation. Without Creative Problem Solving you cannot create a culture of innovation. In the innovation methodologies, you will find creativity relegated to the ideation phase — while the power of the Creative Problem Solving model is that it provides the mindset and the tools you need at every stage of the innovation process. Creative Problem Solving ensures you generate better ideas, avoid premature judgement and manage stakeholders better to improve the chances of your innovation succeeding. All of these are required to create a culture of innovation. 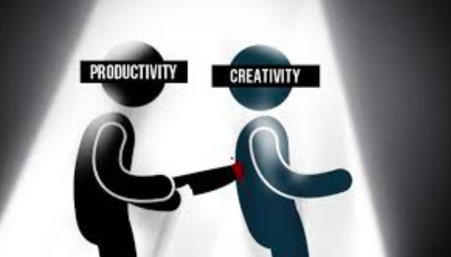 Businesses also have a concern that if you encourage creativity in the organisation, you will lower productivity. Theresa Amabile, Professor of Business Administration in the Entrepreneurial Management Unit at Harvard Business School, said, “Creativity is undermined unintentionally every day in work environments that were established — for entirely good reasons — to maximise business imperatives such as coordination, productivity, and control.” No wonder that Adobe’s State of Create 2016 report found that 80% of American and British workers feel pressured into being productive rather than creative. Sadly, these types of environments cannot create a culture of innovation. Outdated leadership models think in terms of leaders and followers. Creative leadership is less about leading and more about creating an environment where everyone — not just management — are empowered to use their creative thinking skills to improve the organisation. It doesn’t mean that everyone is generating ideas, rather that everyone is empowered to ask, is there a better way and are personally accountable for implementing solutions that improve the workplace. This is why productivity and Creative Problem Solving amplify each other and drive a culture of innovation. 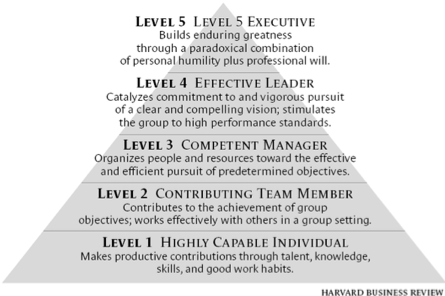 Creative leadership has a lot in common with transformational leadership. Transformational leadership is about changing and transforming people, which is also the remit of creative leaders. Why creative leadership is more powerful is it has a proven methodology and process for how to become a change agent to create a culture of innovation. n 2013, when I was working as the head of Creativity and Innovation at Pernod Ricard Winemakers and studying for my Master of Science in Creativity and Change Leadership, I spearheaded a pilot for a creative leadership school which we called the TH!NK Creative Leadership Lab (TH!NK). The pilot was so successful that it became an annual program that ran for the four years while I remained with the business before founding my creative training and innovation constancy agency. Annually, 25 of our senior leaders in the Asia Pacific region were trained in the mindset, toolset and skillsets required for Creative Problem Solving. TH!NK addressed personal and professional transformation and all the training was applied to real-life problems in the business generating innovation as an output. TH!NK was a key pillar in a series of initiatives to integrate creativity at every level of the business to achieve the company’s goal of being an industry leader in innovation. While its output was innovation, its purpose was to create enduring cultural change by transforming people from managers to creative leaders who, in turn, can build creative teams. This results in a more innovative and dynamic company where everyone is responsible for driving innovation. By giving our people the skills they needed to ask better questions, they were personally invested in creating initiatives to increase operational efficiency, provide better customer experiences, drive business growth and, in the process, foster a culture of creativity and innovation. At the end of each year’s TH!NK Creative Leadership Lab program we had ready to implement plans for their business challenges resulting in innovation in the areas of customer service, improving culture, operational efficiency and marketing. In 2014, the company was featured in BRW Australia’s Most Innovative Companies list. If you are interested in creating a working environment in which critical thinking, new ideas, and creative solutions can flow unencumbered, then invest in Creative Problem Solving training. Innovation process training will make your innovations better, while Creative Problem Solving training will do that and transform your company culture. As Tom Kelley of IDEO says in his book, Creative Confidence, “If you acknowledge that creative thoughts are the engine that drives innovation, suddenly creativity becomes really important.” There is nothing more satisfying than watching your people fulfil the human need to create and have their creative contributions benefit the organisation and its customers.